Why Should You Trust My Carpet Buying Advice? First of all, I don't sell carpet anymore. I don't have any employees, I don't hire subcontractors or use commissioned salespeople. I just have a few hand-made websites and a passion for helping homeowners like you to choose wisely, save money and avoid getting ripped off by sneaky and ruthless carpet and flooring retailers. I have over 30 years experience in the carpet business both selling and installing. My father was a mill rep for over 35 years, my uncle owned a carpet store for over 40 years. That's well over 100 years of family carpet and flooring experience! Since 1977, at the age of 18, I have sold and installed virtually every type of flooring product including carpet, linoleum, vinyl tiles, ceramic tile, laminate, bamboo, cork, hardwoods, marble and more. I have performed and completed more than 25,000 flooring jobs in my lifetime. Through the years I've developed relationships with thousands of homeowners, landlords, builders, and investors who have counted on me for honest and accurate flooring advice. In 1998, I decided to become a consumer advocate. In 2006 i decided to quit my full time flooring profession and stop selling and/or installing carpet and flooring forever. I'm a homeowner just like you, and I always want to have access to accurate, honest and complete product information for anything I might need to buy. In my many years in the flooring business I've witnessed a lot of sneaky flooring dealers that hire sly salespeople and encourage them to lie and cheat. I've also seen tons of deceptive advertising where you need a magnifying glass just to read the fine print! I find that many flooring retailers don't provide accurate, honest or complete product information to their customers because they don't want you to know the truth! This is exactly why buying carpet or flooring today is so confusing. Every flooring store you visit and every salesperson you encounter will tell you something different. How are you supposed to know who is telling you the truth, the whole truth and nothing but the truth? I believe that every consumer deserves to know the whole truth about the flooring products they are considering, not just the positive attributes, but all the negative aspects too. That's the problem I see with many flooring dealers, including those who advertise and sell on the internet today. They only tell you the positive aspects about their products and they conveniently forget to tell you about the negative aspects of the flooring products you may be considering. This makes it nearly impossible for homeowners to make wise and informed decisions. Consumers deserve to get a fair & square deal. That's why I have created my own special hand-picked list of carpet retailers. If you choose to visit from one of my preferred carpet dealers be sure to print up my coupon and take it with you. I don't make a dime from your carpet purchase, no matter who you choose to buy from so don't worry about that. I check out my dealers very well before I recommend them to you. I have a strict set of guidelines they must pass before they get on my list. When you visit, see if they treat you well, are helpful and provide you with a fair & square deal. Then and only then should you decide if the dealer I recommend is worthy of your business. 1998 I wrote my first consumer carpet buying guide "Carpet Buying Secrets Revealed" and my desire to be an active consumer advocate became a reality. Response was good to the release of my book. 2000 I started my first website Abccarpets.com. I then wrote "The Quick and Easy Guide to Carpet Shopping" and released both books to Amazon.com and Barnes and Noble for nation-wide distribution. 2002 I wrote a book for landlords called "Landlord Floors-Carpet and Vinyl management for rentals." and launched my second website LandlordFloors.com. I began development of The CFM Solution, a strategic way for landlords to reduce their carpet and flooring replacement and repair costs. The Landlord Flooring Management Guide was compiled and offered as a resource for rental property owners and property managers. 2003 I launched Howtobuycarpet.com and I began offering a free service called "Ask the Carpet Expert" where homeowners could email me their questions about buying carpet. Since then, hundreds of common carpets buying questions & answers have been posted on my websites for my readers to freely access. 2005 I closed my carpet/flooring installation business to work full time as a consumer advocate. I wrote The Complete Carpet Buying Guide and offered it as an instant download to my readers. 2007 I continued to update my Carpet ebooks, free unbiased websites and answered carpet questions from my website visitors. 2008 Because so many of my readers wanted to know who I recommend they buy from, I decided to build a very special list of locally owned carpet dealers that I would feel confident referring to my readers. I was contacted by hundreds of carpet and flooring dealers wanting to be listed in my directory. Most dealers that contacted me did not qualify to be added to my directory. I decided to make my own search for carpet and flooring dealers that are able to pass my own set of standards and requirements for me to add them to my preferred list. See my Preferred Carpet Dealer List to see who I recommend near you. 2013, I added more than 350 locally-owned dealers listed in my Preferred Carpet Dealer Directory and growing. I receive lots of emails from happy customers who have been able to choose wisely, save money and get a fair and square deal on new carpet. 2018, I Now have more than 400 carpet and flooring dealers listed in my Preferred Carpet Dealer Directory. I am always looking to add more honest and reputable dealers to my preferred list. Learn how to get the best price on Carpet. Find a Reputable Carpet Retailer Near You. 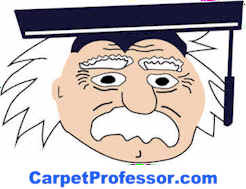 Carpet Information - Expert Answers Your Carpet Questions. Buying Carpet Soon? You've come to the Right Place! Selecting and Buying Carpet Wisely, Best Carpet Retailers. Avoiding the Carpet Buying Nightmares! Ask The Carpet Expert! Have Carpet Buying Questions? Carpet Information - Answers to Your Carpet Questions.